Award-winning Afro Taíno choreographer Marsha Parrilla is the founding Artistic Director of Danza Orgánica. After obtaining a Bachelor's Degree in Foreign Languages ​​from the University of Puerto Rico, Marsha moved to New York, where she completed a Master's Degree in Dance Education at New York University. Now a resident of Boston, Parrilla is a recipient of several awards from the New England Foundation for the Arts, the Massachusetts Cultural Council, and the Boston Foundation, among others. Parrilla is also a Luminary artist at the Isabella Stewart Gardner Museum, where she has been commissioned to create artistic work - and is a dance ambassador for the Boston Institute of Contemporary Art. In 2017, Parrilla received the Brother Thomas Fellowship Award from the Boston Foundation. Recently, Parrilla received a Creative Development Residency at Jacob's Pillow, and performed at the Jacob's Pillow Dance Inside/Out Festival. She is also the producer and founder of the Boston-based acclaimed annual festival: We Create! Celebrating Women in the Arts. In 2018, Marsha was selected for the Boston AIR program (artist in residence), with a focus on environmental justice. Currently, she is developing the program: Daka Yanuna (I am Mother Earth, in Taíno), with a focus on best practices towards decolonization and environmental justice. Marsha has taught dance in Boston and NYC public schools, Boston University, New York State University at Stony Brook, Wesleyan University, Roxbury Community College and Green Street Studios, to name a few. Marsha's production history includes annual company concerts since 2007, as well as the annual festival: We Create! She is the founder of the Dance Research Online Forum- a site dedicated to free and progressive dance education. For awards and recognition, please click here. I'm an Afro Taíno woman and dance theater artist. In 2007, inspired by a lifetime of dealing with discriminatory issues, I founded the dance theater company Danza Orgánica (DO) with a focus on social justice oriented performance and practice. Through DO we share voices that are underrepresented, as we envision an equitable society free of oppression. 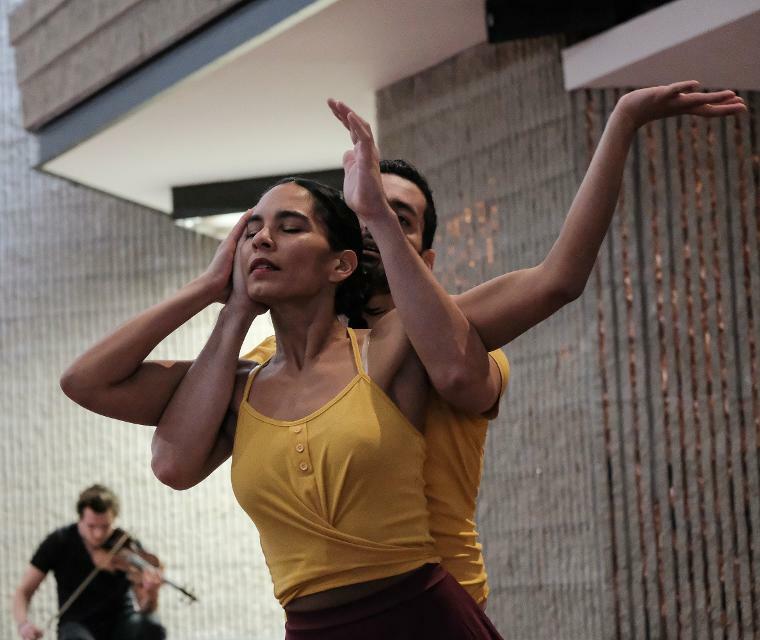 Danza Orgánica excavates complex issues through intensive research and collaboration and embodies these findings to create challenging and honest dance theater. My relationship with dance is filled with risk-taking, love, struggle, curiosity and surprise. I am intrigued by the subjectivity of movement; the way we embody our experiences, and how they become alive for others through our self-expression. I’m equally intrigued by the collectivity of movement, and the power that shared energy creates. My work explores not just the imprint of the world on our bodies, but also our agency – both individual and collective – to rewrite our stories through creative movement that decolonizes our bodies and reinvents our way of experiencing the world. My dance creations are a reflection of my eclectic training. I combine my training in Modern and Contemporary dance forms, classical ballet, and my deep-rooted influences of Afro Caribbean and Indigenous movement. However, what sets Danza Orgánica apart is that the movement is not easily classified. My movement is organic, an embodiment of the experiences and emotions we seek to convey. In addition to creating work for DO, I have created spaces for other artists to develop work and build community through the arts. I am particularly interested in developing containers for self-identified women and gender non-conforming artists as creators, and have consistently organized the annual multidisciplinary arts festival, We Create: Celebrating Women in the Arts. Massachusetts- Institute of Contemporary Art, Bessie Schonberg Choreographic Residency at The Yard, Jacob's Pillow Dance Inside/Out Festival, Jacob's Pillow's Creative Development Residency, Brown University, Dartmouth College, Harvard School of Law, Museum of Fine Arts, Mobius, The Dance Complex, John Hancock Hall, Green Street Studios, Jose Mateo Ballet's Dance for World Community Festival, Cambridge River Arts Festival, Figment, Boston Center for the Arts, University of Massachusetts Amherst, Mills Gallery (through Boston Center for the Arts), Wellesley College, Roxbury Community College, Spontaneous Celebrations, Third Life Studio, Isabella Stewart Gardner Museum, Hibernian Hall, and the University of Massachusetts, Boston. NYC- The Brooklyn Museum, Judson Church (through Movement Research), Gibney Dance, Dixon Place, Mark Morris Dance Center, Cloud City, The Far Space, The Flea, SOB's, Spoke the Hub, the State University of NY, Djoniba Dance and Drum Center, Dance New Amsterdam, NYC Dance Parade, University Settlement, HERE, Clemente Soto Velez, Dance Theater Workshop (through Movement Research), and Downtown Arts. Additionally, Marsha has performed in venues such as: Alvin Ailey, Symphony Space, DNA, New York University, Long Island University, the Kimmel Center for the Performing Arts in Philadelphia, and the Brooklyn Botanical Gardens.